I picked up some Meyer lemons at the store and then went on a lemon baking spree =). This was my first taste of Meyer lemons, which are a cross between a lemon and a mandarine – supposedly slightly sweeter than a regular lemon. Honestly, I couldn’t really tell that much difference. Maybe they were slightly sweeter? Either way, I love regular lemons – and basically anything sour so I thought they were delicious. Even at 25 years old, my favorite candy is still Sour Punch Straws and as soon as I can figure out a way to incorporate them into some baked goods I will ;)! 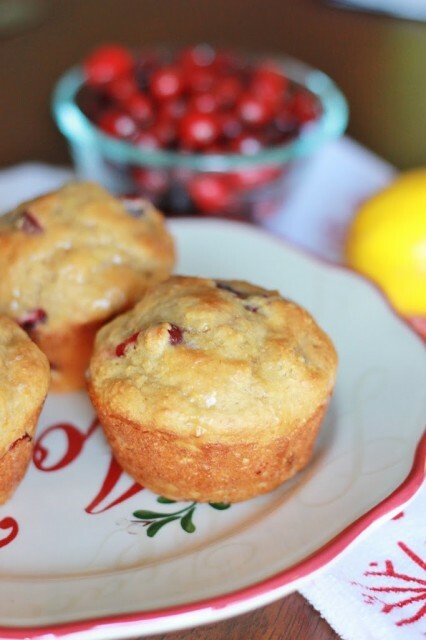 I had some fresh cranberries and I thought they’d pair beautifully with the lemon. And they did! 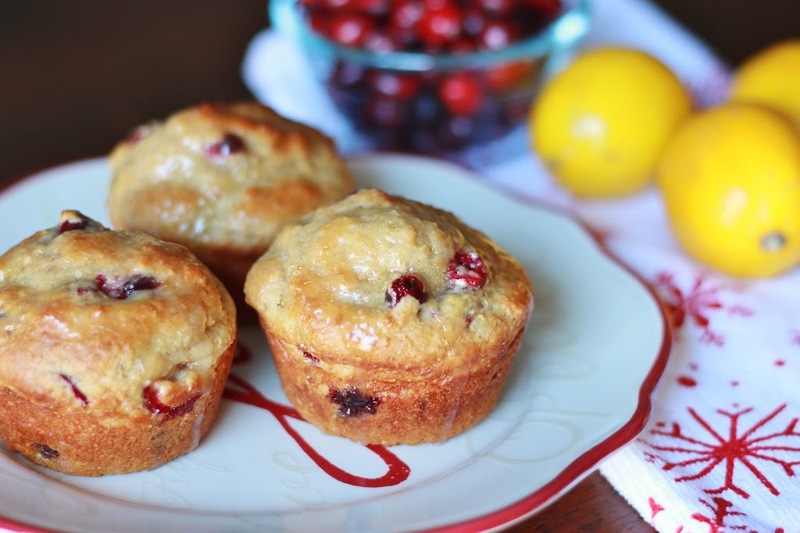 If you can’t find fresh cranberries, you could substitute dried cranberries or even blueberries. I used my favorite whole wheat muffin recipe, but since the cranberries and the lemon both added a tartness to the muffins I thought they needed a little glaze. =) Of course, if you want to be super healthy, you could leave off the glaze. Enjoy! 1. Preheat oven to 400 degrees. Grease muffin tin with nonstick spray. 2. Combine flour, baking powder, baking soda, salt, lemon zest, and sugar in bowl and whisk to combine. 3. In a separate bowl, combine egg, yogurt, oil, milk, and vanilla. Add dry ingredients to the wet and stir just until combined. Fold in cranberries. Divide batter between 6 muffin cups.